Help out the Summer Reading Program by purchasing books on our Amazon Wish-List! 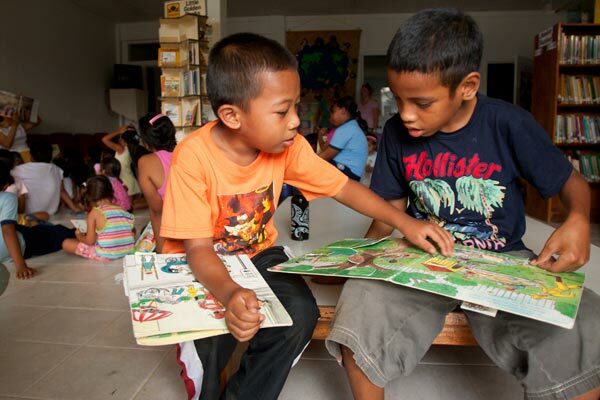 In 2011, the Pohnpei Public Library hosted its first Summer Reading Program. The program lasted nine weeks, exposed children to stories from around the world, encouraged them to explore and borrow books, and improved their reading levels significantly. Students came for two hours every week. Each week focused on a different region of the world and included stories, craft projects, and more. Students were also given time to borrow books and—with the help of the staff and Peace Corps Volunteers—read and understand them. Five Peace Corps Volunteers assisted the Pohnpei Public Library staff in running the program, helping children rotate through three stations that included read-alouds, crafts, and supervised free reading. Students had the opportunity to win prizes for summarizing the books they read. One of the most successful parts of the Summer Reading Program was the involvement of three local embassies in the guest reader sessions. Heather Moore, a native of Australia, read during Pacific Week. JoEllen Gorg of the US Embassy read on behalf of North America. Ambassador Susuki of Japan and his wife read during the studies on Asia. The reading program had a nominal fee of $3.50 per student, which covered a library card and Internet access for the two months the program took place. 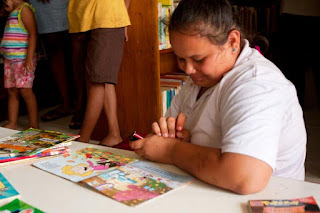 About 150 students participated--roughly 120 students in Kolonia at the Pohnpei Public Library and another 27 at Lukop Elementary School as part of a satellite program run by Peace Corps Volunteer Mollie Wright. 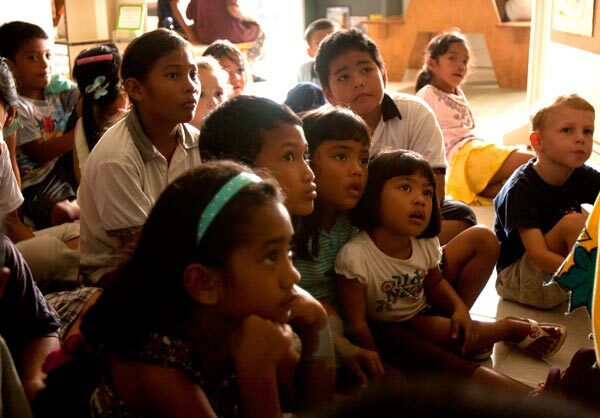 The Summer Reading Program was partially funded through a $3,500 DAP grant from the Australian Embassy.